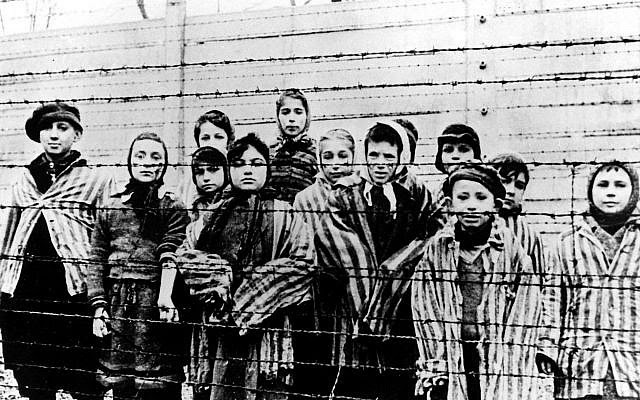 Poland just passed a "Polish Holocaust Law" in their attempt to cover up the historic truth of their deplorable behavior during the Holocaust from the late 30's to probably past 1945 when the war was over. "The bill would outlaw blaming the Polish state or nation for crimes of the Holocaust committed in Poland." Do they plan on outlawing history books? How about the movie, The Pianist? In this adaptation of the autobiography "The Pianist: The Extraordinary True Story of One Man's Survival in Warsaw, 1939-1945," Wladyslaw Szpilman (Adrien Brody), a Polish Jewish radio station pianist, sees Warsaw change gradually as World War II begins. Szpilman is forced into the Warsaw Ghetto. Each country in Eastern Europe, particularly those in Catherine the Great's "Pale of Settlement," where she caused the Jews to be confined so as they couldn't live in "Russia proper,"to live, suffered in the hands of that country's government. In my reading, I believe Ukraine was one of the worst. Poland wasn't much better. From what I see, the citizens of Poland who were not Jews aided and abetted the Nazis in not only their hatred of Jews but their own survival, which is understandable. They did it too well, though. They were doing so much of the vileness going on in the killing of Jews. They made it easier for these Nazis. Any who were not have been remembered in Israel as The Righteous Gentiles. "Those recognized by Israel as Righteous Among the Nations are honored in a section of Yad Vashem known as the Garden of the Righteous Among the Nations." 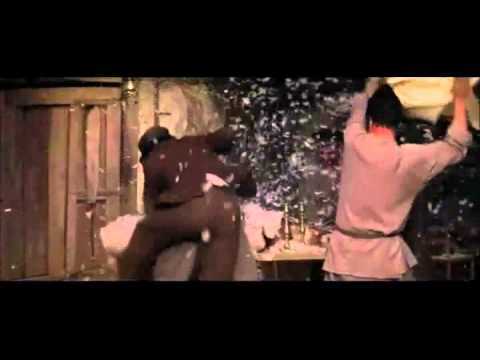 Jews were under strict laws and the Russian Gentiles would take out their cruelty on them with occasional Pogroms, one of which broke the legs of my teen-aged grandmother. Americans might remember such things in "Fiddler on the Roof." 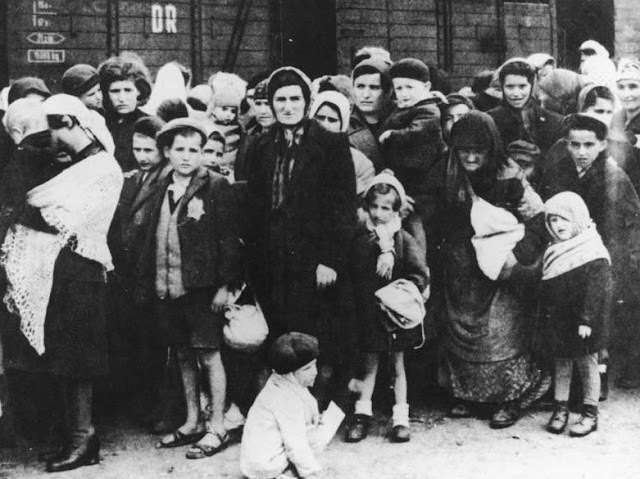 Though many Jews did immigrate from Poland during the late 1800's and early 1900's, many remained and were caught in the Holocaust. Luckily for me, my grandmother and her sisters and brothers were one of the immigrants. Her town of Lazdijai in Suwalki had once been part of Lithuania, but in the fighting before the Holocaust era, it had fallen into Poland's hands as it was close to their border. She and her family had previously gone through famines and that was topped with a great amount of anti-Semitism. Before Poland passed this law, they had promised to meet with Israeli officials with a discussion, but broke that promise, so Israel is considering the recall of their ambassador. The bill would outlaw blaming the Polish state or nation for crimes of the Holocaust committed in Poland." Do they think they can whitewash history that is filled with all sorts of documentation of their citizen's acts? I hold one of the books that tells all about it. It's The Holocaust" a history of the Jews of Europe during the 2nd World War by Martin Gilbert. Poland at the end of WWI was established as independent from Russia or anyone else and the economic position of Jews there deteriorated as a Polish middle-class pushed them out of trade, handicrafts and industry through anti-Semitism. 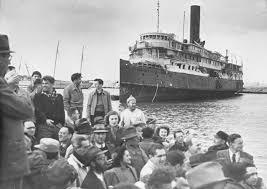 In 1938, the eve of the Holocaust, 300,000 Jewish men were unemployed and were emigrating on a large scale. 395,223 Jews left Poland from 1921 to 1937. By 1939, Poland had over 3 million Jews. Nazi occupation took over and immediately set up ghettos in Warsaw, Lodz, Bialystok and other places but were a prelude to being turned into Concentration Camps and gas chambers. 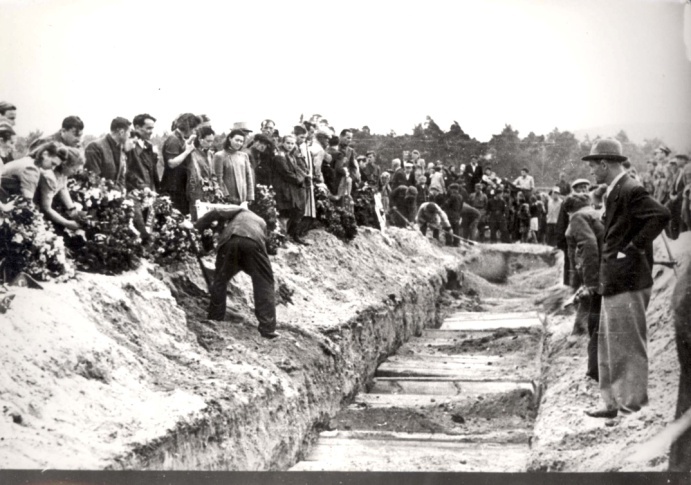 Jews were brought to Poland from other parts of Europe for the gas chambers of death or the killing fields. No one can forget the horrors that happened in Warsaw, Poland. 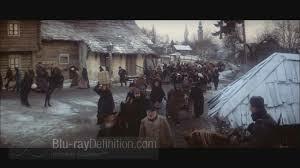 In the beginning in 1941, Jews were rounded up in a ghetto, and Jews suffered from starvation during a cold winter. Children were freezing literally to death. They stood in the streets with bare feet, knees and in torn clothing suffering. A witness to this was Mr. Ringelblum who wrote that 70 children were found frozen to death on the steps of ruined houses.(p. 232). For the Nazis had put the word out that they wanted to "eliminate a source of moral and physical pestilence (the Jews of Europe). They were out do a "total cleansing," so in 1942 on July 21, the Germans seized 60 Jews in the Warsaw ghetto including 3 Jewish Council members while other Jews were shot outright in the streets or even in their homes. The next day, the Polish railwayman, Franciszek Zabecki remembered about the train service from Warsaw to Treblinka with Jews they called "settlers." The Poles swallowed the lie of them being "settlers." They were of course going to their deaths.(p. 388). Eight Jews who managed to leave the ghetto without permission on November 17th were given the death sentence. 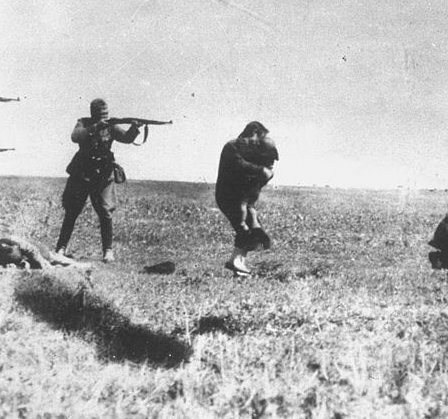 They were caught in their search for food in the Aryan part of Warsaw. Another witness, Kaplan, told how it was the Jewish police who were ordered to tie their hands and cover their eyes. Two of those caught refused the eye covers. The execution squad were Polish policemen who "wept bitterly" after shooting these 8. SS officers attended the shooting. So did Jakub Lejkin, a Jewish policeman who had dragged them from their cells. We evidently had a few Jews involved who were totally crazy to have complied in such a dastardly act; not much of a Jew at all. At the same time, Jews of Vilna, Lithuania were being deported by the thousands and tens of thousands and were being killed; children and women. The Warsaw Ghetto incident was so shocking that those outside of it had sent word to Vilna to be warned. It was too late. Anti-Jewish violence here after liberation! It was Jews who was buried after mass killings in fields! "40 miles NE of Warsaw in the gravel pits, the Germans set up a labour camp near the tiny rural station of Treblinka." Those Jews of my era have all heard of Treblinka. By 1942, it was a death camp. So was Auschwitz. The Nazis were in a rush to kill Jews and Treblinka along with other death camps were the centers to wipe ot many hundreds of Jewish communities. Chelmno was one of the smaller death camps in which 360,000 Jews were killed within a year. A 5th camp was set up called Birkenau near Auschwitz where Polish prisoners suffered cruel torments. Auschwitz-Birkenau, Poland. The most famous and largest of all Nazi camps because of its size and the large number of lives lost within the walls of this death camp. 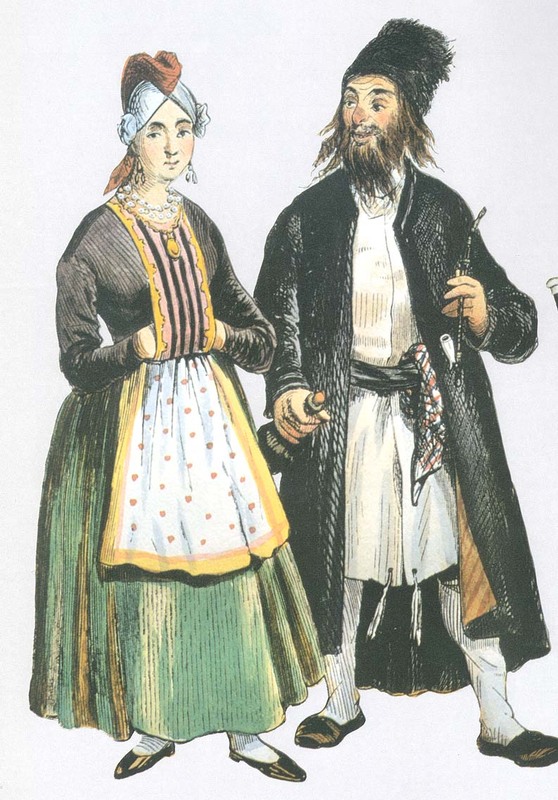 Jews had lived in Poland since the 9th century, in the 800's. We don't know for sure if they had immigrated there from Germany or Bohemia or from the kingdom of Kiev and the Byzantine Empire, but they were apparently also coming in from Khazaria as well. They were traders who in the Dark Ages had helped to open up the area to civilization. They received their first charter in 905. Jews, in order to live, were of a different religion, so they needed a charter. The land suffered from Tartar invasions in 1240's that utterly devastated Poland. To restore their economy, Polish kings had encouraged merchants from Germany to settle, and they were followed by the Jews. This brought in Jews who settled to White Russia and Little Poland and to Lithuania in 1388/89. 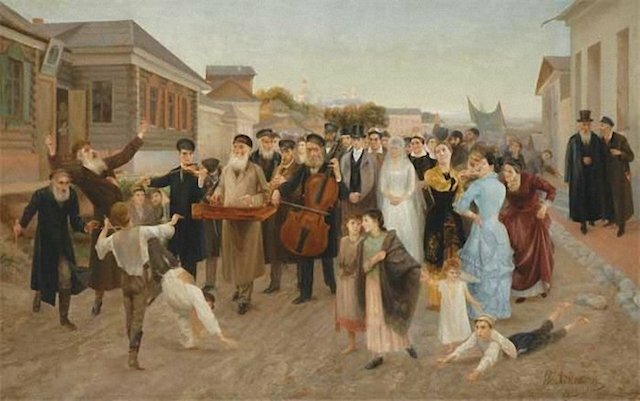 In a very Catholic country, Jews were prospering in economics, especially in Warsaw and Lodz and held key positions in foreign trade, timber, grain and metal trades. By the end of the 19th century, Polish anti- Semites supported their clergy, and then the press launched a campaign against Jews. The great majority of political groups joined them and by 1881 there was a large pogrom in Warsaw. What happened? At this point, Zionism took hold of the Jews who were praying 3 times a day anyway for the return to Zion (Jerusalem). This was something they had been doing since 70 CE when their capital had been burned down by the Romans and their ancestors were taken as slaves or if luckier, had to flee from Roman soldiers. This was also a period of vast immigration of Polish Jews to the USA. WWI's end in 1917 had caused talks with Jewish leaders and European leaders through the League of Nations in the creation of a Jewish Homeland out of the Ottoman Empire's 400 year old hold on "Palestine, a name given to land by the Romans in 132 in their anger at a Jewish uprising by General (Aluf) Bar Kokhba in which Bar Kokhba reheld Jerusalem for 3 years, giving the Romans a fight they hadn't had for some time. 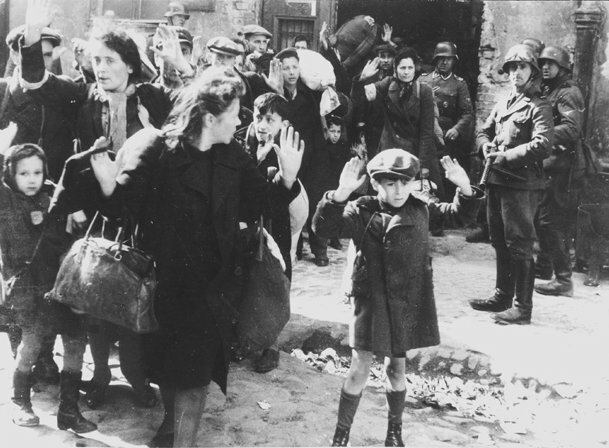 From July 22 until September 12, 1942, German SS and police units, assisted by auxiliaries, carried out mass deportations from the Warsaw ghetto to the Treblinka killing center. During this period, the Germans deported about 265,000 Jews from Warsaw to Treblinka; they killed approximately 35,000 Jews inside the ghetto during the operation after so many had starved to death. In response to this outrageous Polish Law, Israel is taking steps. "61 Knesset members from the coalition and opposition, outlined new legislation that would make denying the Holocaust or diminishing the role of Nazi collaborators a criminal offense under Israeli law." “The Polish attempts to rewrite history and to shut Holocaust survivors’ mouths is audacious, shocking and despicable. We will not allow the collaborators to hide behind the Nazis and deny their historic responsibility,” the Jerusalem Post quoted Knesset member Itzik Shmuly of the Zionist Union, one of the co-sponsors of the new law, as saying." Even after the Holocaust, Poles kept on killing Jews. No Nazi was there prodding them on. The climax of pot-war killings came on July 4, 1946. Three days earlier, an 8 year old Polish boy fromKielce, disappeared from him home but 2 days later he returned, claiming that he had been kept in a cellar by 2 Jews who wanted to kill him. The truth was that he had stayed in a friend's home in a nearby village. The friend told him what excuse to give. to his parents. 42 Jews were killed in one day as a result of that lie. Almost all the Jews who were in one building were shot, stoned to death or killed with axes and blunt instruments. In Kielce itself, Jews were murdered in their homes or dragged into streets and killed by the mob. 2 were little children. 4 were teenagers on their way to Palestine. 3 were officers in the Polish army. 7 were unnamed, unable to be identified, one was known to be a survivor of Birkenau because of his tattoo on his arm; B2969. After this final pogrom, half of the Jews who had survived left Poland for Palestine, Western Europe, Britain, USA, Latin America and Australia. I'm just amazed that there were Polish Jews who had survived the Holocaust. Imagine doing that, living through such a horror only to come home and be slaughtered in another Pogrom of your ancestors. THE HOLOCAUST, by Martin Gilbert, copyright 1985, 959 pages.